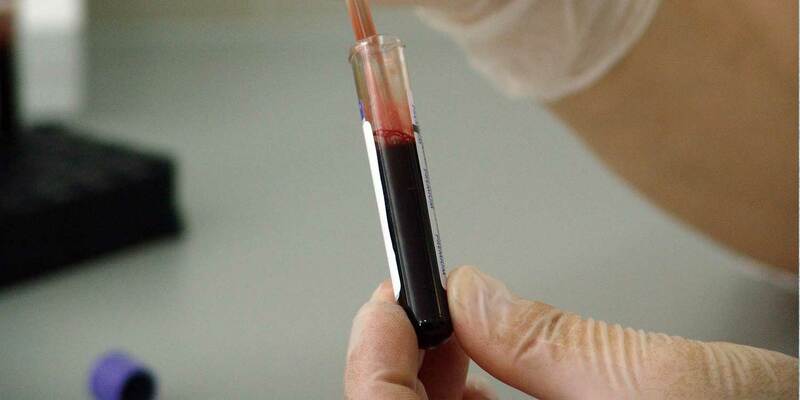 The brain damage that leads to Alzheimer’s can be detected with a simple blood test up to 16 years before symptoms appear, according to a study published recently in the journal Nature Medicine and reported on by CNN, The Today Show and USA Today. Dr. Stephen Salloway, director of the Memory and Aging Program at Butler Hospital, is among the authors of the paper. The study was conducted through the Dominantly Inherited Alzheimer’s Network (DIAN), an international consortium of researchers investigating the development of genetically inherited Alzheimer’s disease. The Memory and Aging Program is a DIAN member and study site. “A blood test for Alzheimer’s would be a game-changer with regard to detecting people at risk, so the results of this study mark a major breakthrough in the field,” Dr. Salloway said. The study measured the levels of a protein in the blood called Neurofilament light chain (NfL), which is an indication of nerve cell loss in the brain. Elevated levels of this protein indicate brain damage. The study showed that a continuing rise in the level of NfL can serve as a biomarker of developing Alzheimer’s disease. Participants of the DIAN study carry a rare genetic mutation that causes early-onset Alzheimer’s disease. A parent has a 50% chance of passing the mutation along to his or her child, and if that occurs the child is very likely to develop dementia around the same age as his or her affected parent did. This provided researchers a timeline in which to study any changes that occur in the brain prior to the development of Alzheimer’s symptoms. “More than 400 people participating in DIAN research sites were included in the study; 247 who carry an early-onset genetic variant and 162 unaffected relatives. Each participant had previously visited a DIAN clinic to give blood, undergo brain scans and complete cognitive tests. Roughly half had been evaluated more than once, typically about two to three years apart. A spike in NfL levels can also be caused by other neurodegenerative conditions such as multiple sclerosis, traumatic brain inury and stroke, however, so further research will be needed to refine the amount of time that changes in NfL need to be monitored in order to point to an Alzheimer’s diagnosis – but researchers say that that day may not be far off. 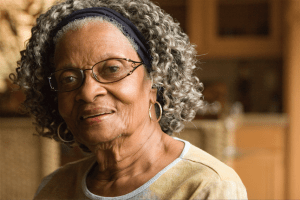 The Memory and Aging Program is currently seeking people with normal cognitive function as well as those with mild memory impairment to participate in current and future studies. To learn more, visit butler.org/memory. The Memory and Aging Program at Butler Hospital is a world-wide leader in the fight against Alzheimer's. We are dedicated to developing breakthrough treatments for Alzheimer's disease through cutting-edge research into early detection and treatment. Our research and future breakthroughs depend on the participation of people with normal memory who may be at risk for dementia and those who are already experiencing memory loss, as well as the support of committed community partners, supporters and volunteers. Individuals with mild Alzheimer’s disease may qualify to participate in a study to test an investigational medication aimed at slowing the progression of Alzheimer’s disease. Tracie Kurczy-Lussier and her family have suffered immense loss due to early-onset Alzheimer’s. 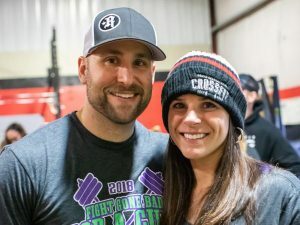 Here’s how she’s using CrossFit to fight back.